Leading German manufacturer, Bänninger’s polypropylene pipes and fittings suitable for all areas of industrial application, are now available for the local market through thermoplastic piping specialist, Plasti-Tech. The reliability and durability of the pipeline system directly depends on the quality and properties of the basic substance. 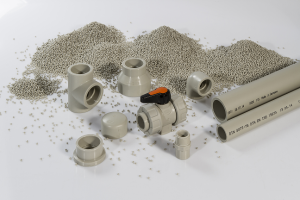 According to Brad Chamont, managing member at Plasti-Tech, Polypropylene Random (PP-R) combines a number of valuable features, which make it the best selection for pressurised water heating systems and various chemical applications. The PP-R pipe system is the only plastic pipe system where both the pipe and fittings consist of exactly the same material, thereby reducing the chances of failure. To expose local customers to the wide-ranging benefits of PP-R, Plasti-Tech now offers PP-R pipes and fittings from Bänninger, a German manufacturer of plastic pressure pipes and fittings which are used in various industrial applications worldwide. Bänninger’s products are made from pure raw material to ensure perfect installation every time. Its pipes and fittings have been tested and certified, and meet the audited requirements according to DIN EN ISO 9001 and ISO 15874:2008. Chamont says PP-R pipes come with an array of advantages, which have been proven for decades in all areas of industrial applications. “Particularly the outstanding resistance to corrosion guarantees a long-lasting and durable service life. This type of pipe offers high resistance to chemicals and generally has good long-term properties compared to many other media,” says Chamont. PP-R material is absolutely non-toxic and chemical resistant, and therefore does not affect the quality of the water, and completely has no rust release. Widespread use of polypropylene not only in the pipelines, but also for the packaging of various food products and ultra-pure preparations, is a key indicator of the perfect hygienic characteristics of the material. Meanwhile, polypropylene endures high pressure and temperature drops. Due to the elasticity of the material, an important advantage of polypropylene is that water in the pipe may freeze without destroying it. “If water freezes in the polypropylene pipes and fittings, they are not destroyed, but only slightly increase in size and come back to the previous size after thawing. Polypropylene pipeline water supply system can withstand a certain amount of freezing/thawing,” concludes Chamont.